The Zastava Florida, also known as Yugo Sana, Yugo Miami or Yugo Florida, is a five door hatchback which was introduced by Serbian automaker Zastava on 19 February 1987 and remained in production until 2008. The Florida was based on the Fiat Tipo, and was designed by Giorgetto Giugiaro and a group of Zastava engineers at Italdesign. 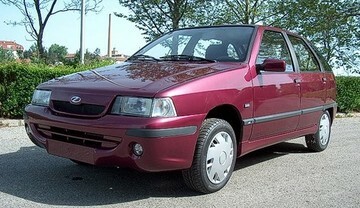 The Florida was the most advanced and independently engineered automobile produced by Zastava before it stopped producing civilian automobiles in 2008.